Volvo Cars, the premium car maker, has announced a range of updates to its global connected services program and its award-winning Sensus in-car user interface, starting with the new XC60 and the company’s existing and new 90 Series cars. Volvo Cars’ innovative In-car Delivery service, a part of the Volvo On Call smartphone app, which launched in 2015 and allows one-time digital access for deliveries to your car, is set to expand to five additional countries during 2017. “This is just the start. Our roll out of one of the most comprehensive and customer-relevant services in the industry is now shifting up a gear and you will see more convenient and time-saving services offered to Volvo Cars’ customers in the coming months,” said Björn Annwall, Senior Vice President Global Consumer Experience at Volvo Car Group. To support the addition of new services, Volvo On Call, the company’s connected smartphone app has undergone a total redesign. The app is now one of the most widespread connected car platforms available today. It will be available in around 50 countries by the end of 2017, covering more than 90 per cent of Volvo Cars’ global sales. The organic growth in both penetration and popularity of the Volvo On Call app is based on an increasing desire amongst premium car drivers to access car features and related services while not in their car. Volvo Cars’ approach with Volvo On Call is firmly based on its commitment to make life easier for its drivers. Volvo car owners can now send navigation destinations based on their calendar directly to their car, find nearby fuel stations and even get help finding their car in large car parks or on unfamiliar city streets using the remote smartphone app. “The role of Volvo On Call has changed from remote car access app to a platform that functions as the main entry point for Volvo Cars’ customers to an increasingly broad selection of connected services. We are at the forefront of this shift in car technology and service provision. Eventually you might not even need to own a Volvo to benefit from the services offered via the Volvo On Call smartphone app,” said Björn Annwall. The Swedish marque has performed a graphical refinement of the Sensus user interface in the new XC60 and in its 90 Series cars, improving usability while presenting a refreshed, clean and appealing design. “As we learn more about our customers’ interaction with our user interface we refine the logic and design to increase ease of use and enhance its appearance. The updated interface is focused on the navigation experience in the car which is one of the core applications,” said Ödgärd Andersson, Vice President Software & Electronics at Volvo Car Group. The new Volvo On Call updates will apply to all new models across the brand and to Volvo On Call enabled cars back to 2012. The Sensus user interface design in the new XC60 will come pre-installed in new 90 Series cars. Existing 90 Series cars will be updated at the next service. 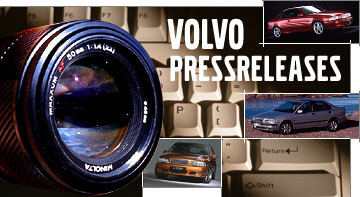 Volvo On Call was one of the first automotive telematics services available when launched in 2001. It was initially developed as telematics safety system that alerts the emergency services if you are involved in an accident or if you require roadside assistance due to a flat tyre. Volvo On Call also acts as a security system which allows stolen vehicles to be tracked. Over the years Volvo Cars has added a wide range of features and functions to this distinctive subscription service that enables Volvo Cars’ customer to stay in touch with their car – no matter where they find themselves. In the last number of years it was grown into a connectivity and convenience platform, delivering a broad range of relevant connected services for Volvo Cars’ customers. Download the Sensus Factsheet for the 2018 model line up to learn more about Volvo On Call.